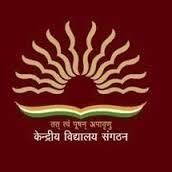 Below you will find Top Kendriya Vidyalayas in Jaipur 2018, List of Best Kendriya Vidyalaya Schools in Jaipur Region. Founded under the patronage of KendriyaVidyalayaSangathan, New Delhi, KendriyaVidyalaya, No. Estaiblished in 1994, the school caters to the need of students, Schools runs with two shifts. Kendriya Vidyalaya, Phulera is established in the year 1992, situated in Railway Colony which is free from the hustle and polluted environment of city life.